I did it. I purchased my very own sunscreen without depending on SPF-contained makeup product (looking at you, Essence primer) for protecting my skin against the very bad sunlight and I am bloody loving it. What drove me to buying a sunscreen all of a sudden? Well, I am an avid reader of Twitter beauty accounts and the amount of time the importance of sunscreen is being recycled over and again just baffles me. So I gave in and bought the cheapest one I could find at the drugstore. Heck, the best cheap sunscreen ever. Bioré UV Perfect Protect Milk Moisture SPF 50 sunscreen retails at about RM16 for 25ml, maybe a ringgit or two cheaper and pricier depending on which drugstore you buy them at. The step on how I use my sunscreen is facial wash > serum > acne gel > moisturiser (if I feel like it) > sunscreen. You’re supposed to use your sunscreen at the very last step of your skincare routine and before makeup primer. Some people still get the steps wrong so I think it’s worth mentioning here. I can’t say much about it as sunscreen doesn’t really affect your skin condition all that much. This sunscreen doesn’t break me out and for that fact I am bloody happy because my sensitive skin is reacting good to it. I have combination skin with dry patches on cheeks and chin and an oil slick on my nose and forehead but this sunscreen is kinda controlling the oil on my face despite it being moisturising, as the name stated. It absorbs right into the skin and although it doesn’t completely go away and you can still feel just a thin layer on your skin, it won’t make you uncomfortable at all. My skin feels hydrated and I feel protected! i can’t think of anything else! 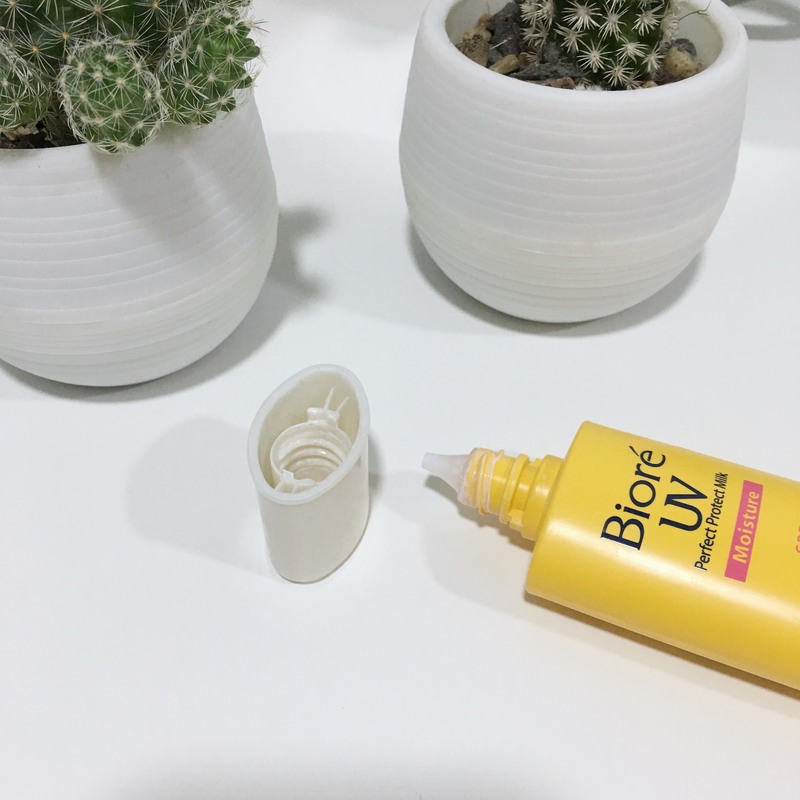 I hope you enjoy this short review of my current favourite sunscreen granted that this is the only sunscreen I’ve ever used but it’s not always that you find a product that really works for you, eh? I have been using it every day for a month and I still have so much left! Love it. Definitely pick it up if you’re in need of a new sunscreen. What sunscreen are you using?